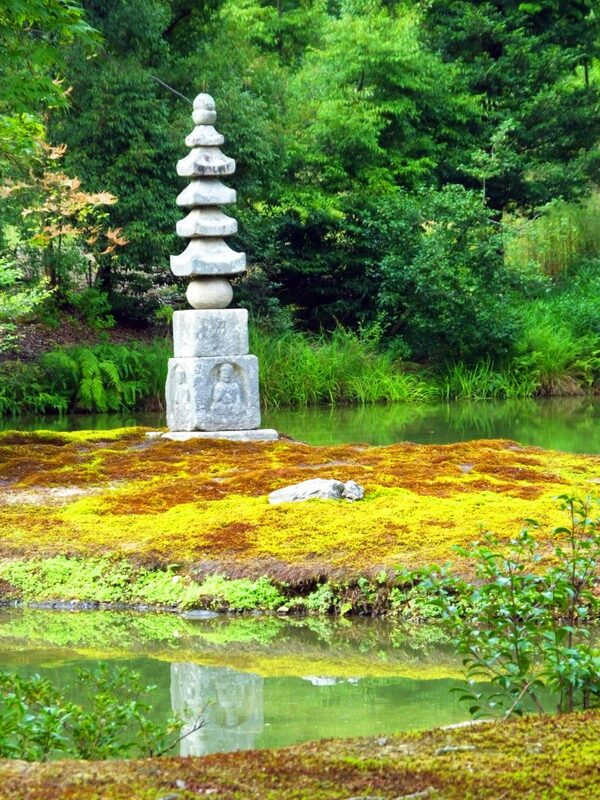 I went to Rokuon-Ji Temple this summer. 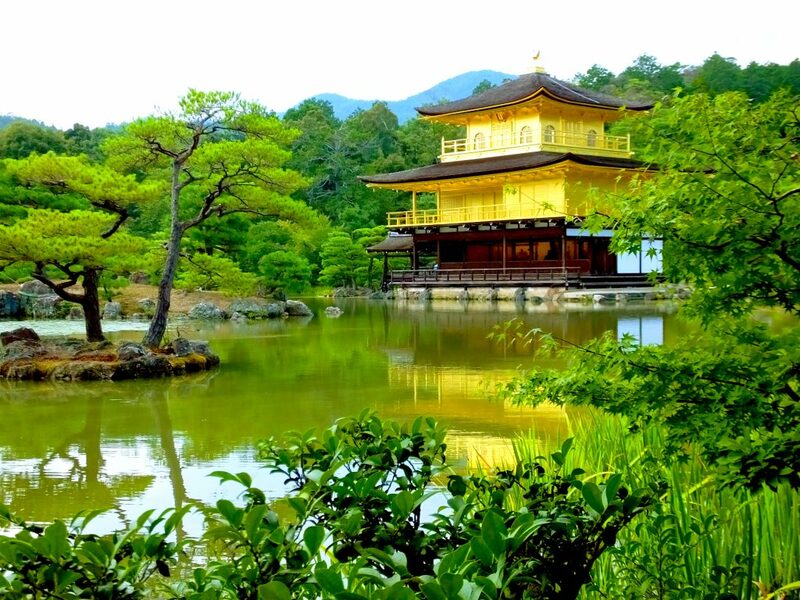 Rokuon-Ji Temple is famous for Kinkaku (a golden pavilion), so it’s called Kinkaku-ji temple. Both names are written on its name plate at the entrance. 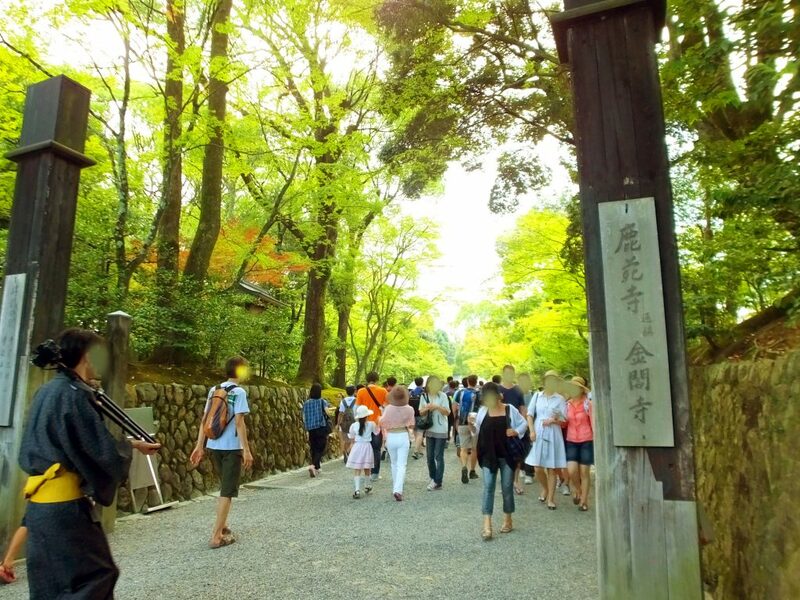 The entrance is very simple and green trees are beautiful in the summer. 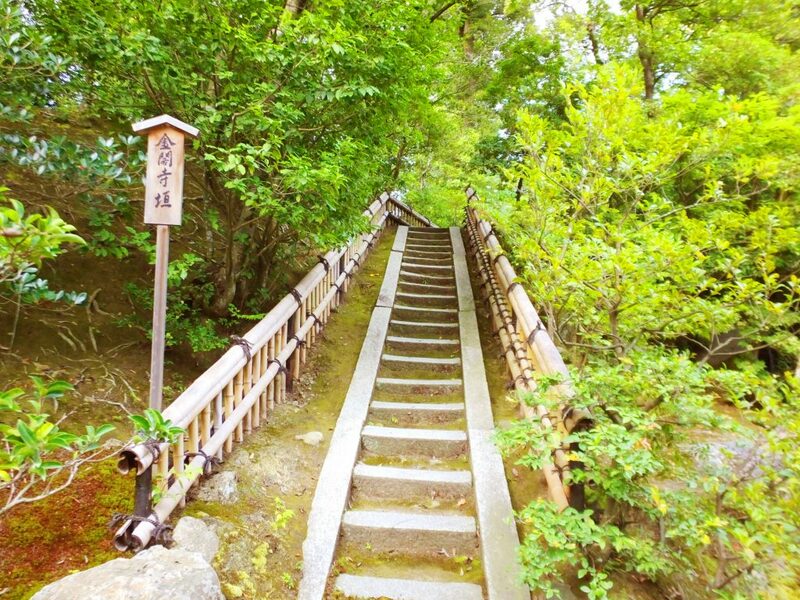 Kinkaku is symbolic of Kyoto, attracting a large number of visitors every year. First of all, I went to see it. 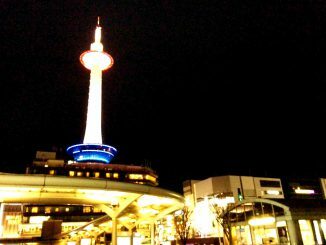 The adult admission is 400 yen. I was so curious though I had seen it when I was a child. How beautiful! 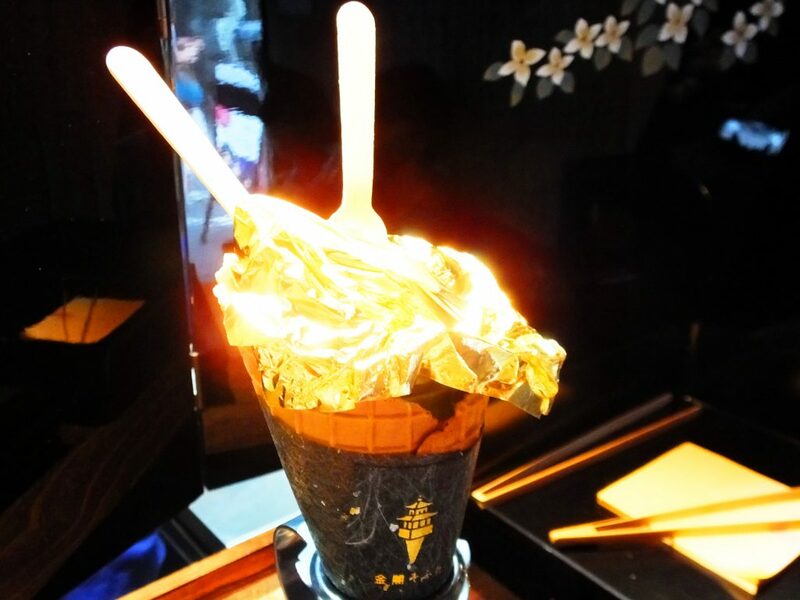 The top two stories are covered with gold leaf. Strain your eyes, and you can see the interior of the first floor, and you may notice that each floor has a different architectural style. 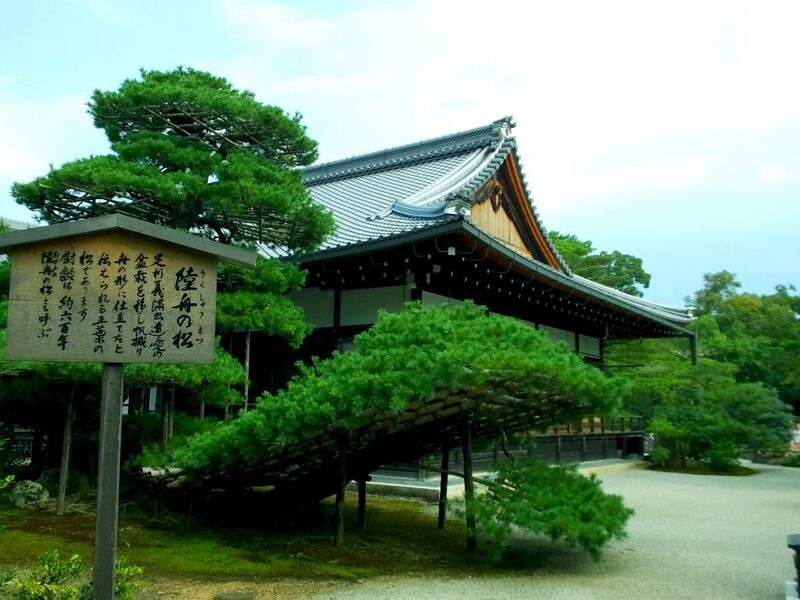 In the temple, you can see a boat-shaped pine tree. 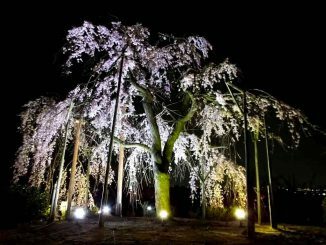 It was planted in the Muromachi period (1338-1573), and supposed to be about 600 years old now. 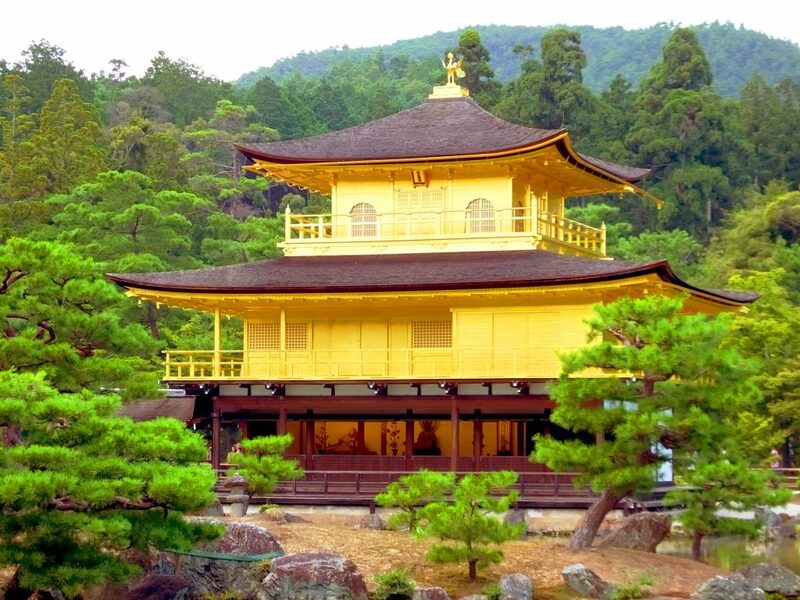 It is believed that Ashikaga Yoshimitsu, a very famous shogun (military commander at that time) wished to go to Gokuraku Jodo (Pure Land of Amitabha) and built the golden pavilion, Kinkaku as a metaphor for it. It seems the pine tree was seen as a boat to go there. 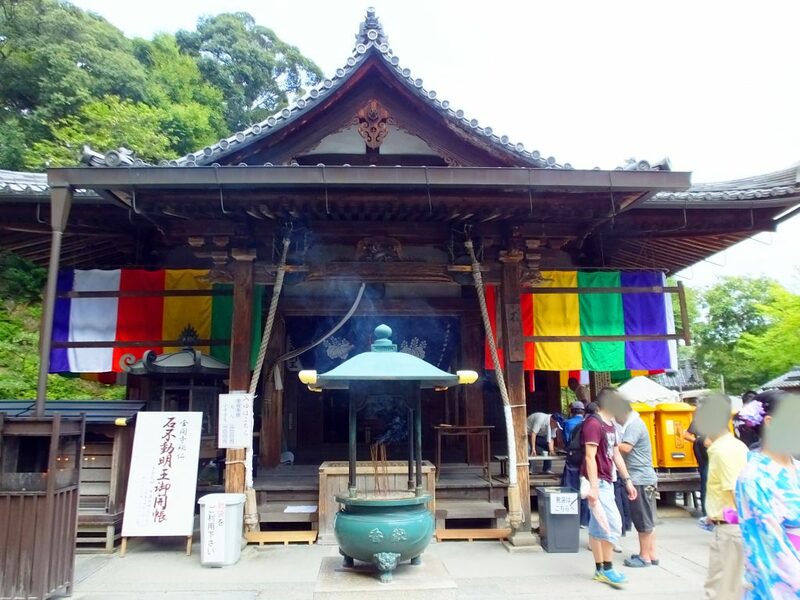 This is a Buddhist hall called Fudo-do. 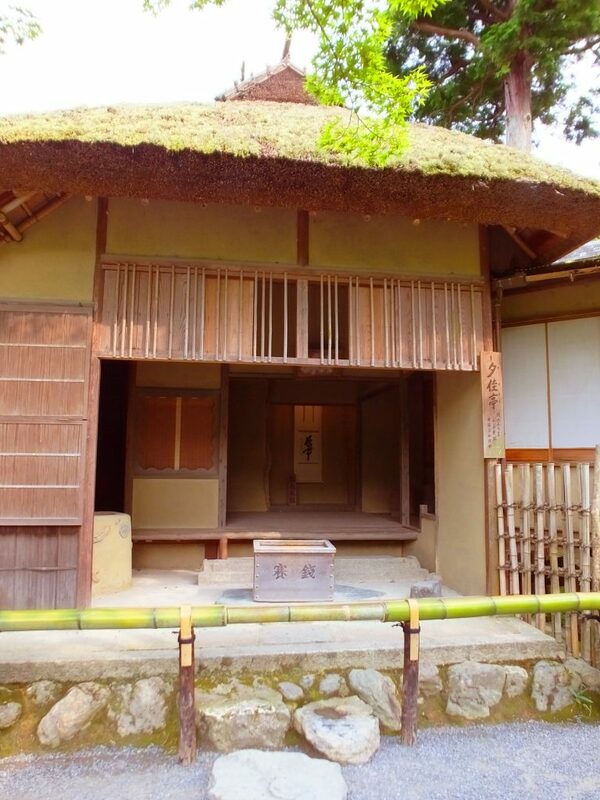 Now it’s the oldest building in the temple, because Kinkaku has suffered a fire in 1950. 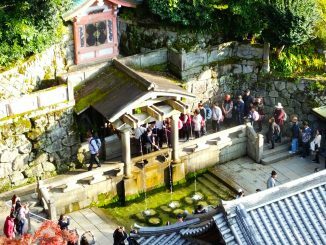 A statue of the protective deity, Acala (known as Fudo Myo-o in Japan) is in there, but usually concealed from public view. You can see the deity only on February 3rd and August 16th. 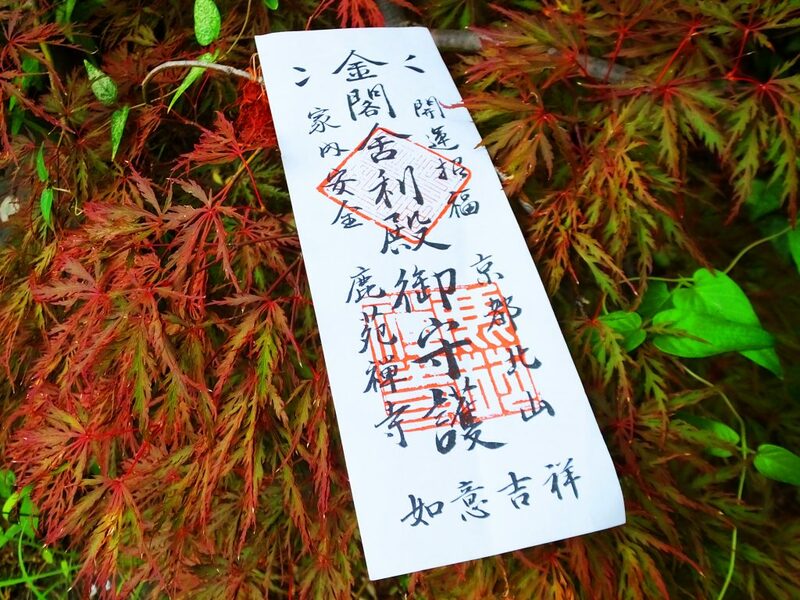 When I paid the admission fee to see Kinaku, I got an amulet. It says it’s for good luck and the safety of family. I was very happy. 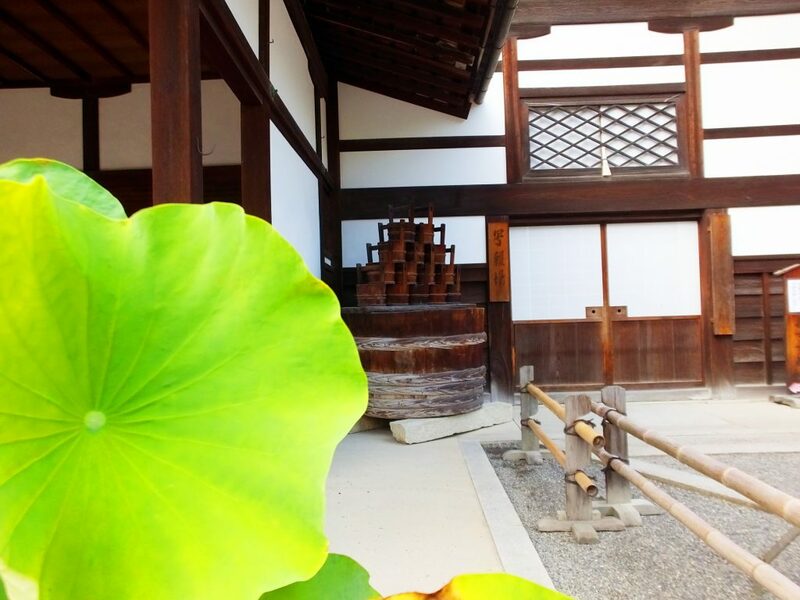 Other than Kinkaku, there is a lot to see in the temple. Just walking around was fun. Look at the small waterfall in the picture in the lower left. Actually, the big stone put there is seen as a carp swimming up the waterfall. 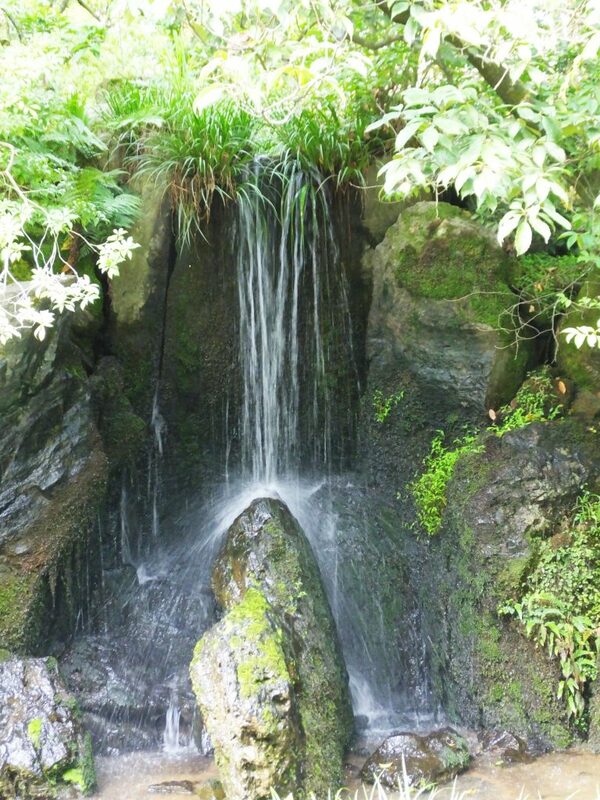 It is believed that the carp will become a dragon when it get to the top of the waterfall.